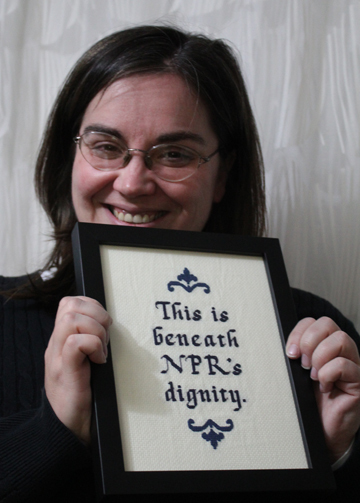 Okay, so this week our blog features not one, but two NPR podcasts, and I’m totally fine with that. I discovered NPR’s Pop Culture Happy Hour while driving from Florida to New York. I was in the midst of moving from my childhood home to New York City and I was pretty terrified. I listened to that year’s Tony’s episode and laughed my way through it. At my next rest stop, I started furiously downloading every episode. A few months later, I had listened to them all, and I’ve been a devoted listener ever since. Every Friday is PCHH day for me, and I can’t wait! PCHH panelists Glen Weldon, Linda Holmes, Stephen Thompson, and Trey Graham. 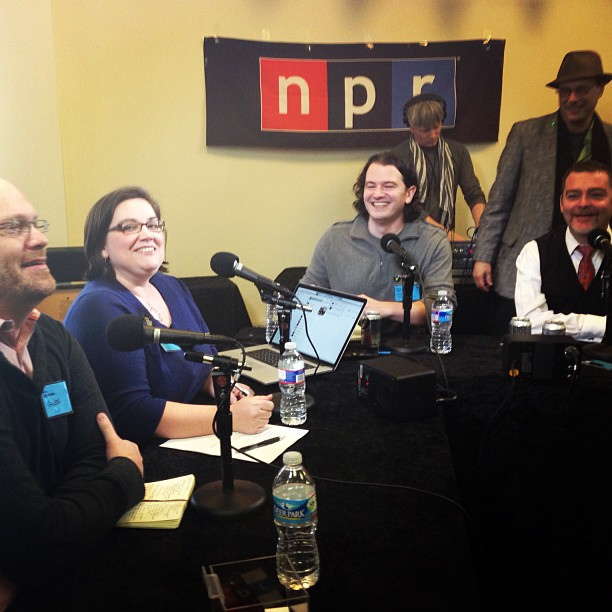 Pop Culture Happy Hour is NPR’s entertainment podcast. Each week, panelists discuss one or two timely pop culture topics and close with “what’s making them happy that week.” (Get ready for that to be a Rec Room topic one day, because it will happen.) Recently, the show has also started producing ten minute “small batch” episodes, either expanding on a topic they discussed that week or talking about a topic they couldn’t fit into the regular show. 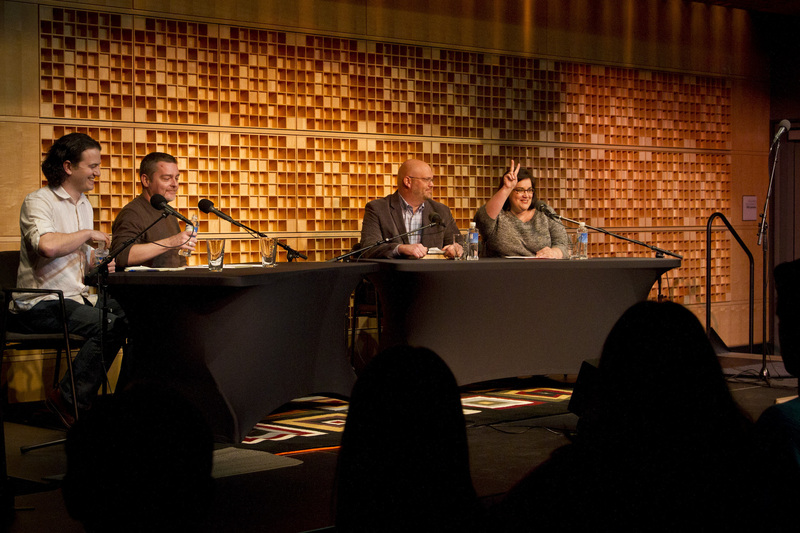 Panelists typically include the podcast’s two creators: Linda Holmes, the editor of NPR’s pop culture and entertainment blog, Monkey See, and Stephen Thompson of NPR Music, who Brandon also mentions this week. Also almost always present is Glen Weldon, who writes about books and comic books for the NPR website and who also writes books about comic books. The fourth (and sometimes fifth) panelist space is now reserved for a guest, but was once occupied by Trey Graham, who mostly contributed to the realm of film, books, and theatre. He left to travel the country by train and see a ton of theatre (pretty much my dream). I think what makes this podcast so addictive and enjoyable is the combination of topical content, insightful and witty discussion, and consistent and wonderful panelists. I love Linda, Stephen, and Glen, and after listening to every episode I have come to recognize their voices to the point where if they were sitting behind me in a movie theatre, I would know (and die). But even the guest stars are consistent. A recent episode about the newly released film adaptation of Gone Girl featured (my favorite guest) Barrie Hardymon, because she was on the original episode that discussed the book. It’s like the cast of experts on Pawn Stars, except with pop culture. Linda Holmes and Bob Mondello read movie reviews from the interwebs, and are adorable. Not only am I an avid fan, but I’m also a PCHH evangelist and will proselytize, spreading the good word of Linda Holmes to all who will listen. I’ve gotten my entire family as well as some of the employees I supervised at my former job and a few friends to start listening. None of them have regretted it, and neither will you. 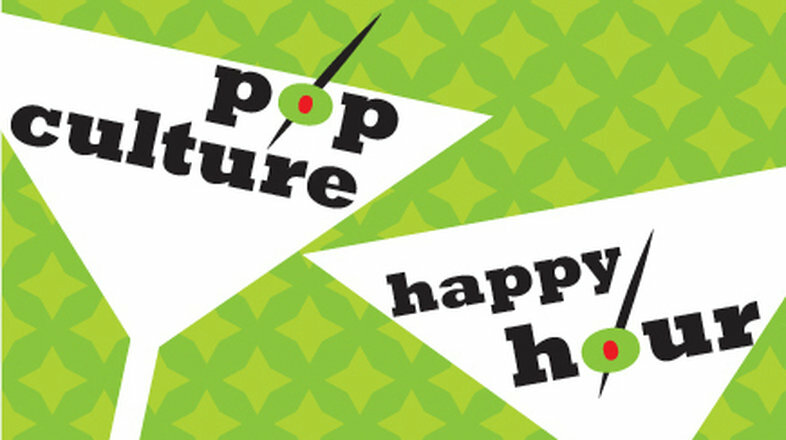 Pop Culture Happy Hour can be found here or on iTunes, under podcasts.